Melatonin is also closely related, and is formed by conversion of serotonin in the pineal gland. Known to regulate many biological rhythms, including the circadian cycle, melatonin has shown clinical benefit for inducing sleep or adjusting sleep cycles.14 Randomized trials have found it to reduce sleep onset latency and improve perceived quality of sleep, without impairing daytime psychomotor performance. Softgel (gelatin, glycerin, purified water), organic flaxseed oil, yellow beeswax, non-GMO sunflower lecithin, enteric coating (purified water, ethylcellulose, medium chain triglycerides, oleic acid, sodium alginate, stearic acid). 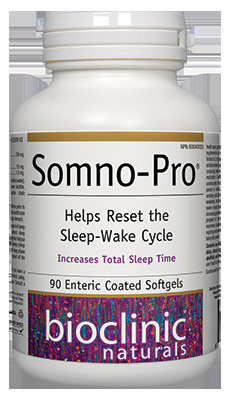 2 softgels per day 30–45 minutes prior to bedtime or as directed by a health care practitioner.